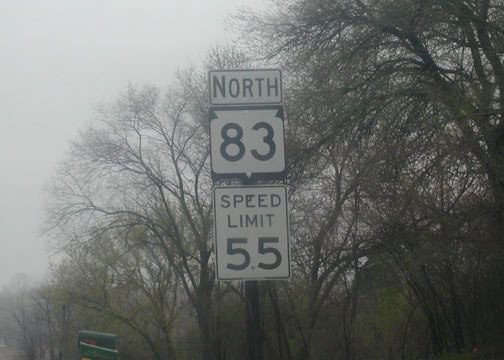 Wisconsin Route 83 NB (which connects to IL 83) north of Antioch, IL. This is a nice non-trafficky road. County JF ends at IL 83. This is Kenosha County, for the record. If you didn't see it in the intro picture. I don't understand the Speed Limit 45 in the background. 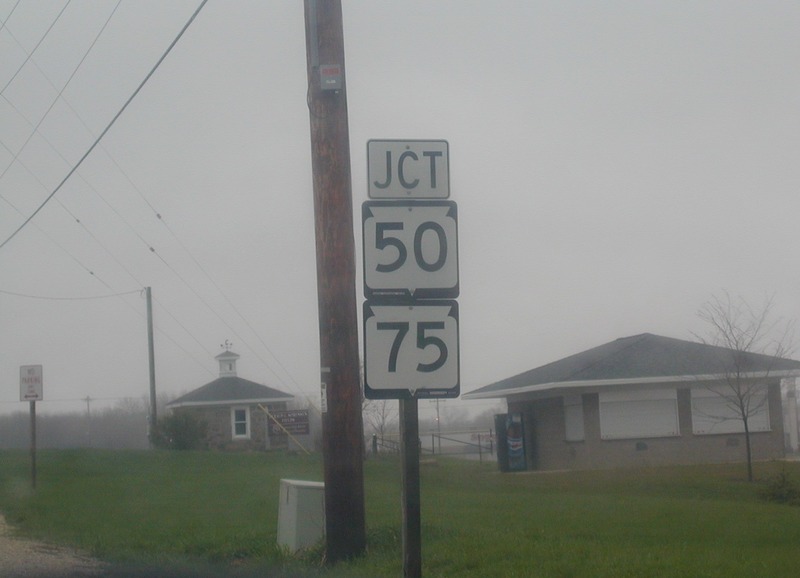 Route 83 crosses Routes 50 and 75 a few miles north of the IL border. Route 83 actually joins up with the other two. Can you tell it's April? 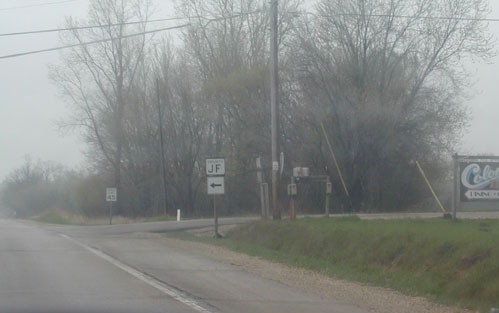 The US 12 sign at the US 12/Wis. 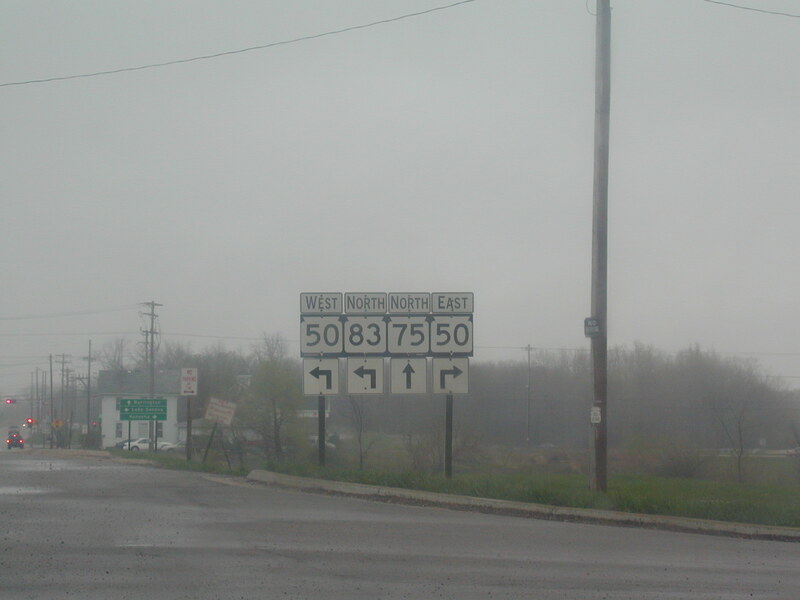 50 interchange in Lake Geneva. 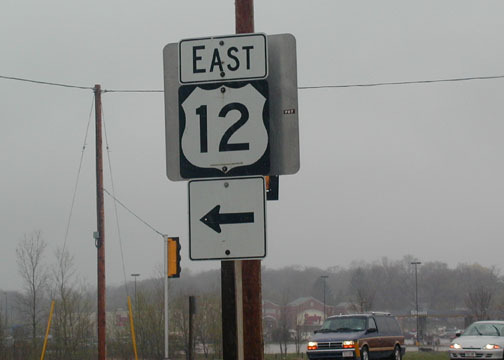 US 12 is interstate-standard from Elkhorn, Wis., to the Illinois border near Richmond, IL. 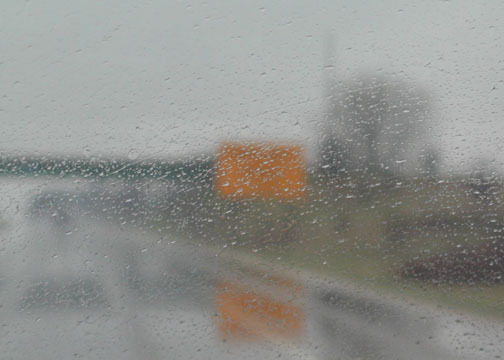 This is on the US 12 freeway SB (Eastbound) south of Lake Geneva. 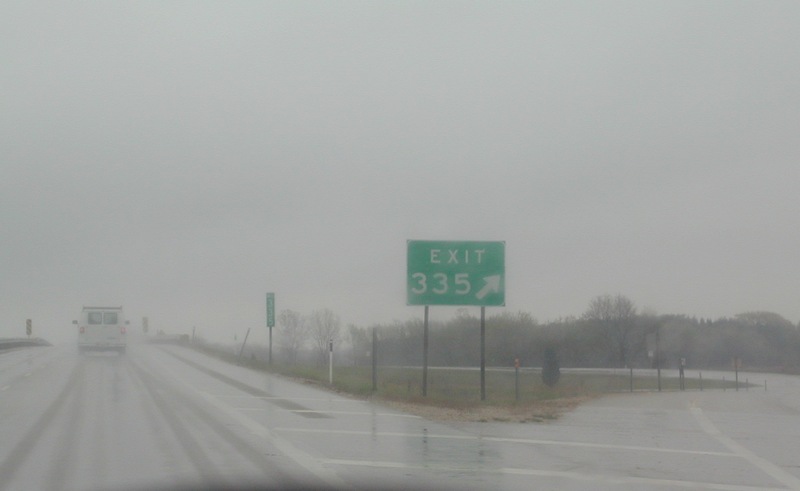 It is exit 335 and interstate-standard here. Why did I even bother, you may ask? 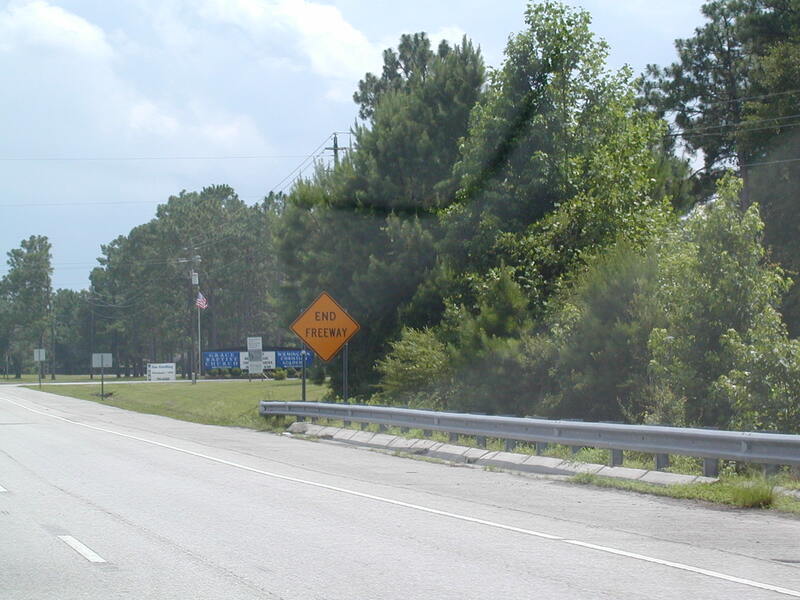 Well, it is the "end freeway" signage just north of the border on US 12. That's why. This is the current (and probably final) end of the US 12 freeway in Wisconsin. There are ghost ramps carrying a non-constructed US 12 over the road seen ahead and into Illinois. But there are no plans to make a freeway into the Land of Lincoln.